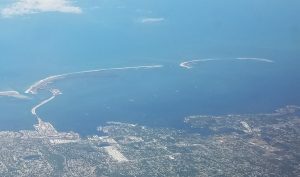 The barrier islands of the West Central Gulf Coast of Florida are synonymous with beaches. In fact, the big-name beaches of the area are located on barrier islands. Not all island are created equally, however, and knowing which ones are a good experience for your kids is important. The barrier islands are, essentially, sand bars that have done quite well for themselves. 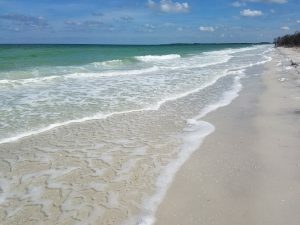 The beach towns you might recognize that are located on islands are St Pete Beach, Madeira Beach, Redington Shores, Indian Rocks Beach, and Clearwater Beach. With the towns well-developed, it’s easy to lose sight of the fact that you are on an island. They are fantastic beach towns and have become popular places for vacation. They are not the only beach islands, though, with plenty of others offering different levels of amenities and comfort. Knowing what kind of experience each island provides will help you to create a perfect vacation for both kids and parents. South of St Pete Beach is an island called Egmont Key. It is a great island to visit, but it is very low on amenities. It’s the kind of place you want to bring all your baby gear with you. Further, the ferry runs on a schedule, so if a kid gets fussy or isn’t feeling well, you can’t leave until the ferry arrives. 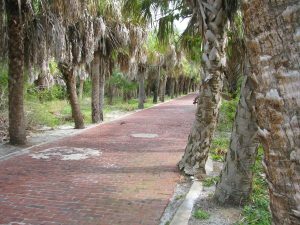 That being said, Egmont Key has a very cool history and has ruins that date back to the Forties that you can explore. It also has gorgeous beaches with very few people on them. Far to the north are the islands of Three Rooker Bar, Anclote Key, and North Bar. Those are three remote islands that have no services. Three Rooker Bar and North Bar are only accessible by private boat. If you and your kids are adventurous, give them a try. They have the most beautiful beaches you might ever see. 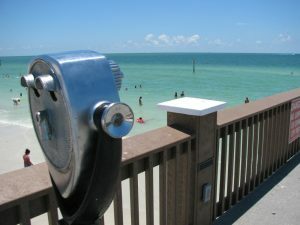 Anclote Key can be reached by ferry boat from the town of Tarpon Springs -which is also fun for kids. The stay on the island of Anclote Key is approximately an hour and then they take you back, for a total of about three hours. It’s definitely kid friendly and the shores of the island are fascinating to explore for shells. Anclote also has a lighthouse but he ferry does not always land near to it. 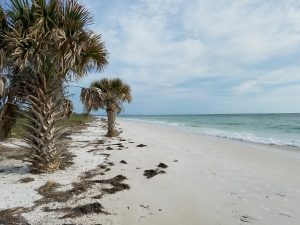 Caladesi Island State Park is a great family outing. 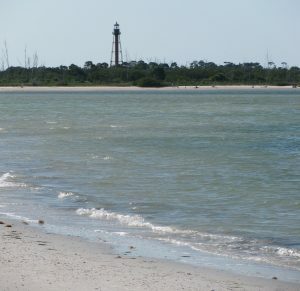 You can only get there by a very long walk or by boat and a ferry runs regularly from nearby Honeymoon Island. The walk will be too much for most kids so we recommend the ferry for families. Caladesi has a concession stand, picnic areas, hiking trails, restrooms, beach showers, and one of the most amazing beaches you will find anywhere. It’s a perfect place to visit if you want to spend about three to four hours at the beach with your family. Honeymoon Island State Park ranks highest on our list of kid friendly barrier islands. It has a concession stand, immense amounts of parking, a dog trail and beach, hiking trails, picnic areas, a playground, restrooms, and a nature center. The beach has lost a lot of sand and isn’t what it was in years past but still holds up as a fun family beach destination. The nature trail is home to large raptors like ospreys, great horned owls, and bald eagles. You might also see a gopher tortoise on the side of the road. The causeway that leads to the island is a recreation center of its own. It has a beach, of sorts, minus the nice sand, but has a concession stand plus kayak and paddle board rentals. It’s also a popular destination for fishing from shore, which does not happen in the swimming area, by the way. If you want to share some island time with your kids, the Central West Coast of Florida provides the spectrum of adventure. You can spend your time in a resort town with all the amenities and things-to-do you can imagine – and more, or you can head off to adventure on an uninhabited island for some extreme beach paradise. The choice is yours, but as most parents know, the kids will have their say too. Take your votes and then make your executive decision about which island adventure your family will enjoy.